This boneless grand reserve ham comes from selected fattened Aragon pigs, and comes in two pieces for easier consumption. 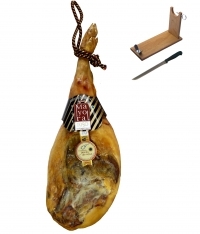 This ham is cured in the mountains, where the high temperatures facilitate slow curing. 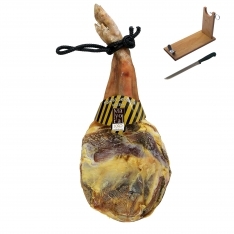 In Spanish, it's known as, "jamón serrano gran reserva Mayoral deshuesado (2 medias piezas)." Format : This ham is delivered vacuum-packed for freshness, protected by an outer carton. 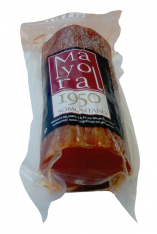 Storage : This ham should be stored in its vacuum packaging in the refrigerator, at a temperature of between 0°C and 5°C. Consume at room temperature - between 20°C and 25°C. 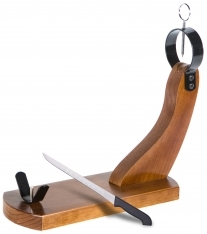 Consumption : We recommend that you consume the product within six months of purchase. Once opened, you should consume within six weeks, to get the best flavor.